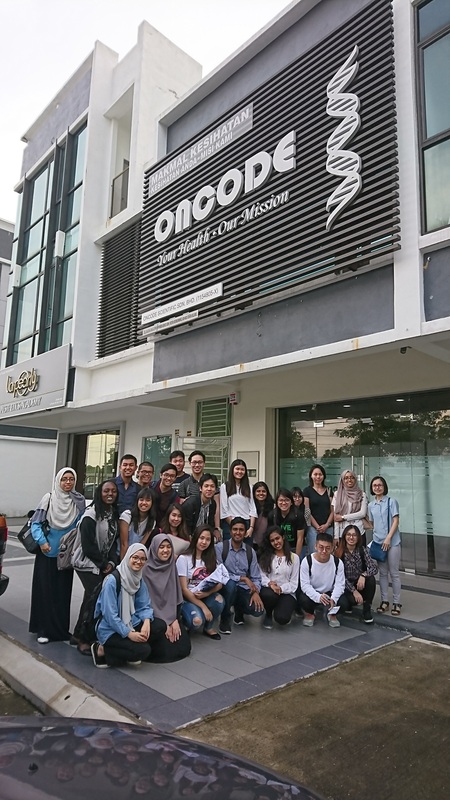 On the 15th of November, a field trip was organized to Oncode Scientific in Kota Kemuning as part of the Concept of Pharmacogenetics module assessment. Students assembled at the bus stop by 1.15pm and left for the company via bus. We arrived at the company at approximately 2.45pm. 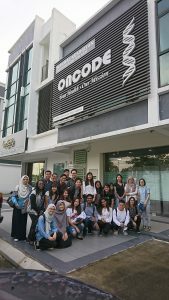 Students were received and led into the meeting room by Oncode Scientific staff. The staff gave the students an overview of what the company specializes in and how they conduct their research. The students were also given a tour of the company’s lab facilities and were briefed on how they handle samples and what equipment they use to analyze the samples they receive. After the lab tour, the staff showed specific patient cases and the outcomes of their recommended treatments to these patients. This was followed by a question and answer session for the students. At around 4pm, the students headed back to campus and arrived at approximately 5pm. A group photo of Year 3 students with Dr Pan Yan at Oncode Scientific. Overall, I felt that the field trip was extremely useful and informative. It gave me a lot of information and perspective on precision medicine and how it is applied in real life settings. It also helped me enhance my understanding obtained from the module itself about individualized treatment and why it is necessary. I have also observed how it would be practically applied in real life setting. Listening to a talk by the staff explaining about their patient outcomes to their suggested treatment made me understand why the whole ‘one size fits all’ treatment approach does not work on everybody which reaffirms the objective of the pharmacogenetics module itself. The lab tour at the company was really interesting as it served as a good chance for us as students to see how equipment and items we use in our lab on campus were modified accordingly for industrial purposes and how different techniques were used to produce results faster. 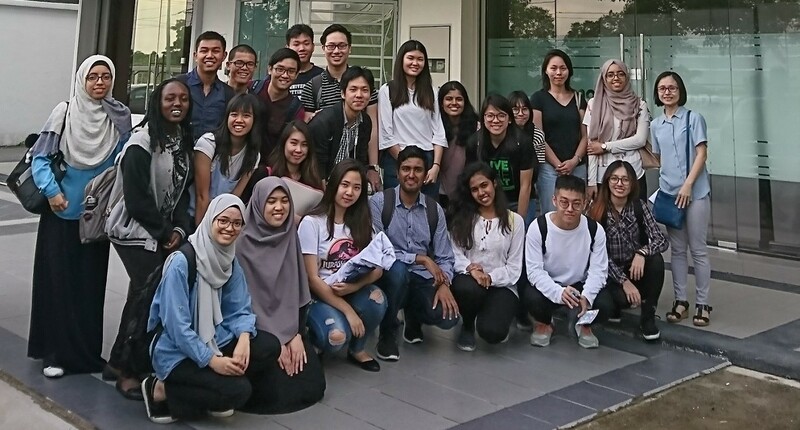 The field trip also exposed me to another growing area in my future field of work that I could consider after graduation for career or postgraduate studies. I think it is wonderful that the department organizes such field trips and should continue the effort as they are beneficial for the students. A look into the happenings and events that takes place within the School of Biomedical Sciences at UNMC.